Karan Johar holds this record by winning 3 awards, followed by Ashutosh Gowariker and Farah Khan with 2 awards. 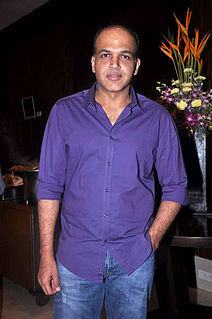 Ashutosh Gowariker is an Indian film director, actor, screenwriter and producer. He is known for directing films "set on a huge canvas while boasting of an opulent treatment". His works include Lagaan (2001), Swades (2004), Jodhaa Akbar (2008), What's Your Raashee? (2009), Khelein Hum Jee Jaan Sey (2010) and Mohenjo Daro (2016). His film Lagaan was nominated in the Best Foreign Language Film category in 74th Academy Awards, which makes him a voting member of the Academy Awards. He returned to acting by playing the lead role in the critically acclaimed comedy-drama Ventilator (2016). Farah Khan also known by her married name Farah Khan Kunder, is an Indian film director, film producer, dancer, choreographer, and actress. She is best known for her choreographic dance work in numerous Bollywood films. She has choreographed dance routines for more than a hundred songs in over 80 Hindi films, winning six Filmfare Awards for Best Choreography and the National Film Award for Best Choreography. In addition, she has worked on international projects, such as Marigold: An Adventure in India, Monsoon Wedding, Bombay Dreams, and the Chinese films Perhaps Love and Kung Fu Yoga, earning Tony Award and Golden Horse Award nominations. She has since become a film director as well, with a Filmfare Best Director Award nomination for her directorial debut Main Hoon Na. IndiaFM News Bureau (February 19, 2007). "Max Stardust Awards Winners". Features. indiafm.com. Retrieved 2007-04-22.